It’s the “Best Of” time of year! The Union is taking votes for their 2018 Best of Nevada County poll and we are thrilled that the Nevada County Fair has been nominated as Best Local Event and Best Place to Take the Kids. Additionally, the Nevada County Fairgrounds is nominated for Best Event Venue, Best Place to Picnic, Best place for Cycling, and Best Campground. What an honor – and we’re so, so pleased to see the Fairgrounds are loved and used by our community. If you’d like to vote, click here. Photo by Nevada City Scenics. The 2019 Fair theme is all about local foods and farmers – and the Fairgrounds is holding a contest to find the winning slogan for the 2019 Fair. 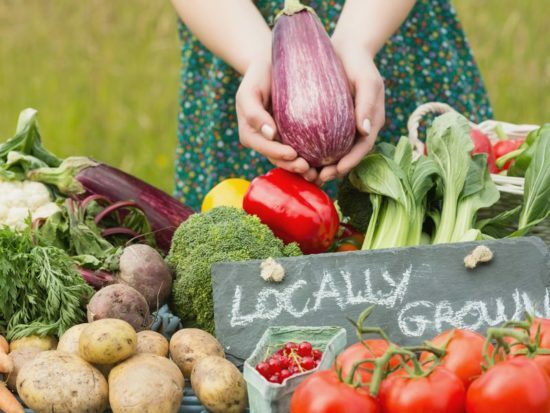 Do you have a catchy or fun slogan that features local food and farmers that you think would be perfect for the 2019 Nevada County Fair? If so, submit it! Visit the Fairgrounds website at NevadaCountyFair.com and submit a slogan about local food and farmers. Be creative and have fun! If the slogan you submit is selected, you win. The winner will receive a 2019 Nevada County Fair package that includes two free admission tickets for each day of the Fair, a 5-day parking pass for the Fair, and ride coupons. Submissions must be five words or less and trade-marked slogans will not be considered. The contest is open to Nevada County residents only and runs through November 13, 2018. Entry forms are also available at the Nevada County Fairgrounds office. No phone entries will be accepted. The 2019 Nevada County Fair is scheduled for August 7 – 11. For a complete list of contest rules or information, visit NevadaCountyFair.com or call (530) 273-6217. Tags: 2019 Nevada County Fair, fair, slogan contest, and theme. Remember the cute baby chicks in Ag-Sperience at the Fair? Here are three of them – growing up and happy!